How do dietary supplements stack up against whole food nutrition? Should you be getting your food in a pill or from a plate? The use of dietary supplements to provide nutrition has increased substantially in the past few decades with people spending more on supplements with the aim to fill up on desired nutrition. Recent scientific research indicates that in the issue of supplements versus whole food nutrition, the whole foods emerge as clear winners but that doesn’t mean supplements do not play a major role in your health. Nutrition rich whole foods are more beneficial than the isolated nutrients found in pills. Not only that, high dose nutrients which are found in supplements can actually be harmful to health as it disturbs the balance of the body. As whole foods are a source of a range of nutrients that can be minerals, vitamins, proteins or carbohydrates as well as other biological compounds that make up the complex system of nature and the source of food, they are a natural health food for the body. Scientific research has shown that this web of food that provides nutrient is extremely complex to be emulated by the use of pills. Pills can be considered as isolated fragments that do not interlock as a web and should only be used to supplement the daily diet and not as a substitute. 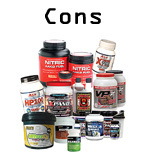 However, even the benefits of supplements cannot be ruled out entirely as they do serve specific purposes. Should an athlete go for a protein shake or food on a plate? Most athletes are confused about the goodness of protein shakes and this is further compounded by confusing advertisements about protein shakes promoted as a “critical” part of the pre and post workout protocol. Since athletes need more protein than an averagely active person, the answer to the question of supplements versus whole food nutrition would be both. The reason is simple – the protein need for a person who works out is considerable more and this may not be met adequately by eating foods high in protein. The International Journal of Food Nutrition suggests that an athlete should consume significantly more protein than an inactive or averagely active person. The suggested protein intake is 140 to 158 grams of protein for a person weighing 200lbs. This indicates that an athlete should get 0.7 to 0.9 grams of protein per pound of body weight. Many bodybuilders consume up to 1.5 grams of protein per pound of body weight to break through size plateaus successfully. The figures will be slightly lower for women as they have higher body fat content. Let us consider a plate of food that has a white fish like tuna and sweet potatoes. The tuna is a fast digesting protein and gives the body about 28 grams of protein per serving. Sweet potatoes are a slow digesting carbohydrate which provides 41 grams of carbohydrates per serving. Research by the Department of Human Biology of Maastricht University has proved that a combined consumption of fast digesting protein and a slow digesting carbohydrate is instrumental in improved protein balance in endurance training. The body tissues depend on carbohydrate for fuel in short-duration exercises. Research conducted by Madison University on cyclists show that in the protein and carbohydrate diet, those who consumed 190 calories more protein did not show that they expended it adequately during the exercise. A Sports Science review has pointed out that consuming protein and carbohydrate before the exercise has anti-catabolic results whereas taking them after the exercise promotes anabolic hormonal release with re-synthesis of glycogen and faster recovery from the exercise. According to their report, a dietary need of protein for athletes beyond the daily requirement does not mean additional benefits. Consuming carbohydrates with proteins before or after exercise reduces catabolism and promotes synthesis of glycogen and makes the body environment anabolic. Some amino acids, found in protein, stimulates growth hormones, neurotransmitters like glucocorticoids and insulin which may enhance athlete performance. They may even reduce fatigue due to exercise to a certain extent. Their study further revealed that dietary protein supplement over the required amount for maintaining the nitrogen cycle balance of the body does not provide any additional benefits to athletes. Supplementation of the daily protein intake with protein and carbohydrate drinks may help to maintain the energy balance. Research has clearly indicated that drinking of beverages containing protein and carbohydrates during and after the endurance training enhances recovery and improves performance of athletes. This is a strong point in favor of supplements in the supplements versus whole food nutrition issue. Let us take a look at the advantages and disadvantages of supplements in order to comprehend supplements versus whole food nutrition better. 1. 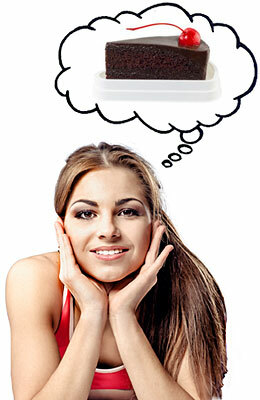 Deficiency in nutrition is filled up adequately by the use of supplements. The US Department of Health and Human Services stresses on a healthy daily diet as the preferred way to gain nutrition however, in individual cases and medical conditions, one may rely on supplements to fulfill bodily needs. A good example of this would be the case of lactose intolerance in people which makes them avoid milk and leads to calcium deficiency. So, to gain calcium and vitamin D, a dietary supplement would be needed to prevent osteoporosis and associated problems. 2. Deficiency corrections: Many health problems are caused due to deficiency in nutrition. This may lead to poor immunity and nervous system malfunction. People with vitamin or iron deficiency need regular supplements to improve their heath conditions. 3. Prevent diseases: It has been proved that certain supplements can actually reduce the risk of diseases and medical problems. Pregnant women are advised folic acid supplements to prevent birth defect in the growing fetus. 1. Supplements cannot replace food: As food is a complex make of nutrients in a natural web, it cannot be emulated by taking dietary supplements. The benefits of whole foods that contain loads of nutrients and phytochemicals as illustrated by the Oregon State University, is optimal in boosting immunity and fighting against diseases like cancer, heart diseases and diabetes. It is definitely a healthier option to depend on whole foods for your daily dietary requirements. 2. Overdosing and toxicity: The dietary supplements may lead to overdosing if not taken carefully. The nutrients can accumulate to toxic levels if taken beyond the daily requirement. Some supplements may even cause harm if you have underlying medical conditions such as a liver disease. 3. Side effects: All medicinal products may have certain side effects. The supplements may interact with other medications and cause problems. High doses of vitamin C may cause indigestion. There may be life-threatening cases also from certain drug interactions. This can never occur in natural whole food. 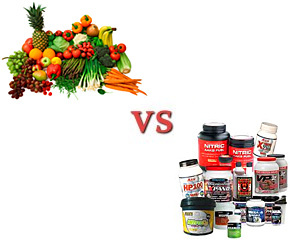 This is a strong point in the supplements versus whole food nutrition. To conclude, nutrition in a pill or a plate, would certainly tilt the argument in favor of natural whole foods as opposed to daily supplements. Supplements can never take the place of whole foods. However, in specific cases dietary supplements are recommended even by health professionals and research by Universities suggest the same. Athletes may consider taking these supplements if the daily protein and carbohydrate requirement is not met by natural foods. But in the fight between supplements versus whole food nutrition, natural wholesome food is miles ahead. 1. Department of Human Biology, University of Maastricht.